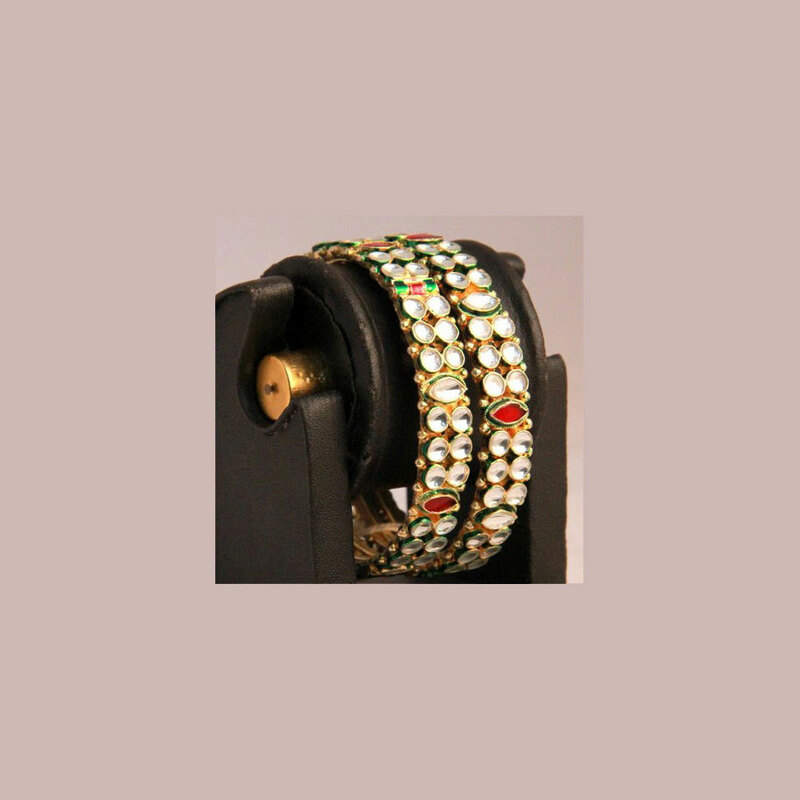 Perfect for ancient wear, this attractive combine of bangles is adorned with attractive stone work of red and white kundan. Perfect for traditional wear, this gorgeous pair of bangles is adorned with mesmerizing stone work of red and white kundan. The base metal of brass Read More..plated with micro gold has been skilfully incorporated into the stone work pattern to make the set available in standard size, look even more appealing and graceful. Show Less..